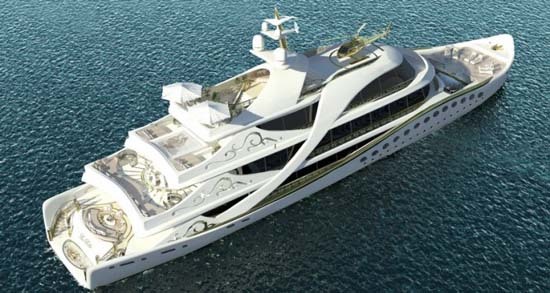 La Belle is a 80 meters long, elegant and feminine super yacht designed by Lidia Bersani Luxury Design from Monaco. 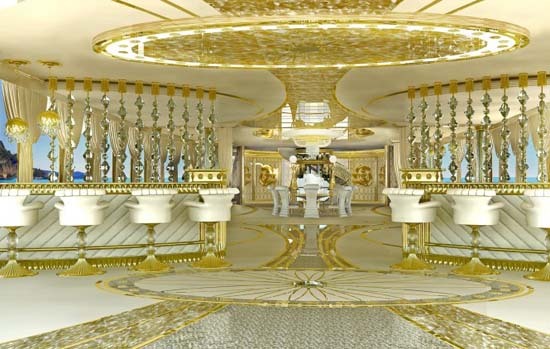 Created for a ‘lady’ the impressive and breath-taking superyacht is decked at the interior with opulent gold mosaics, mother of pearl, Swarovski crystal chandeliers, gemstones, onyx and bespoke wooden furniture. 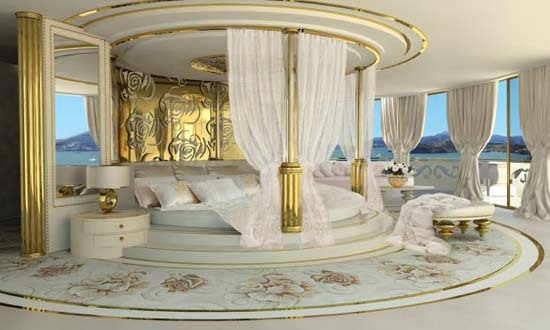 Suitable for up to 12 guests, the luxury yacht features a large master bedroom on the second deck with outstanding view and private terrace, with round king size double bed with baldachin, and 5 gorgeous guests suites. 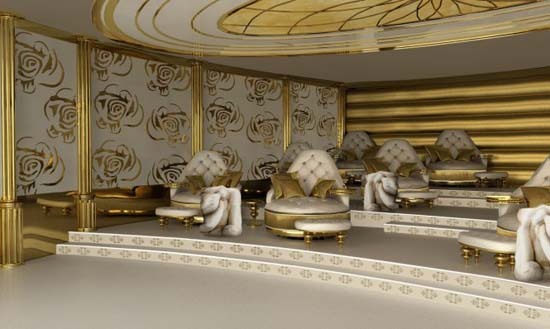 Other amenities include a spa area with hydromassage pool, sauna, small fitness club with outdoor jacuzzi, library with fireplace, beauty center, disco club, cinema and a few bars. 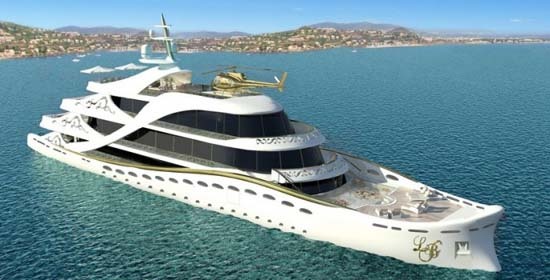 A helicopter landing pad sits on top of the vessel, naturally. No word on price yet..but it will not be cheap, I am sure.